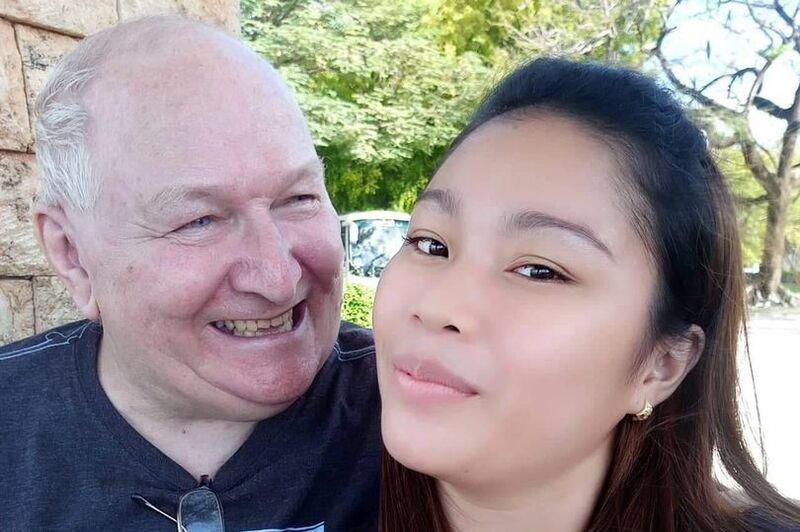 A woman has politely corrected critics who call her a ‘mail order bride’ and explained her marriage with a man 48 years her superior is very happy, thank you very much. 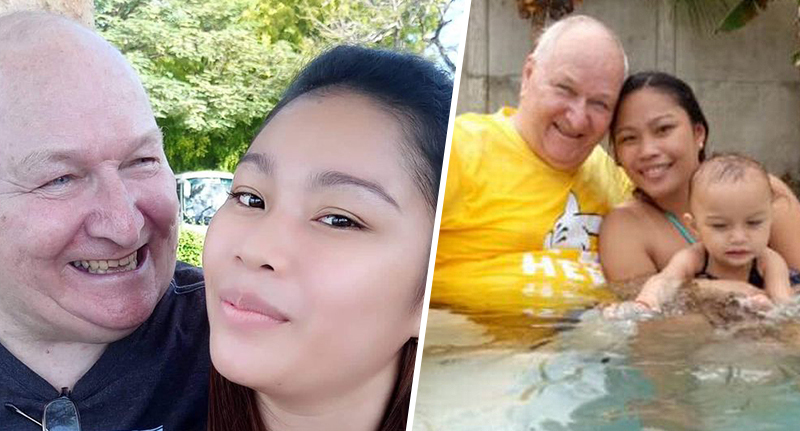 Loire de Fales, 23, and Thomas Grieg, 71, certainly aren’t your cookie-cutter couple. But the married parents of two-year-old Mary make their long distance relationship work better than a lot of couples who live in the same city, let alone continent. They met on Facebook, where Thomas, a retired businessman, from Wallesley, Merseyside, says he instantly fell in love with Lorie. After an internet courtship the likes of which isn’t that unusual in this day and age, the couple met in person for the first time in 2014. We met on Facebook – it just happened; it was destiny. The first time I saw him on Facebook, I was like ‘wow he might be old’, but he doesn’t look as old as you might think. We met here in Cebu and I was so scared, shocked and I didn’t know what to say as he is my first boyfriend. But the feelings I had were mutual and we could feel that we are both in love. For him it was a love of first sight and to me that time I didn’t really love him yet, but I was attracted to him though. He was attracted to my cuteness and I liked his blue eyes the most. Thomas proposed two months later and the couple have been married for four years. People say that I’m a mail order bride, saying my husband has bought himself a young wife. For us age is just a number; it is a question of ‘mind over matter’, if you don’t mind it doesn’t matter – that’s our saying. At first, my family said that they couldn’t believe I have him as my boyfriend, but now they say if I’m sure about him, they will always support me, and they are happy as long as I am. 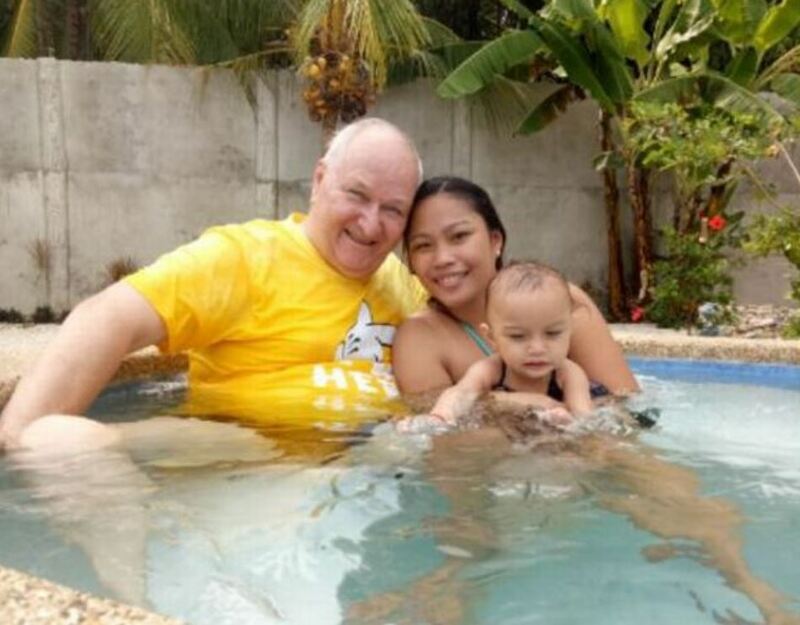 Nearly half a decade on, Lorie puts the graft in with their two-year-old and Thomas visits his family, who live in Cebu in the Philippines, for five months out of every year. The rest of the time, the family Skype. As expected, Lorie says the marriage is not always easy, especially with the criticism from those who have opinions for which no one asked. The mum-of-one said they ‘reassure each other’ despite sometimes getting ‘carried away with our mixed emotions while being in a long-distance relationship’ and have remained ‘always happily married’. Our daughter recognises her daddy as we always talk and see each other on Skype video. Our plan for the future is to give the best to our daughter. Sometimes I do feel like I need him at my side to look after our baby together, but I just look on the bright side about why we are in this situation. Some might feel themselves all riled up and cynical over a love they don’t recognise as ‘usual’ but, really, where’s the harm in this?